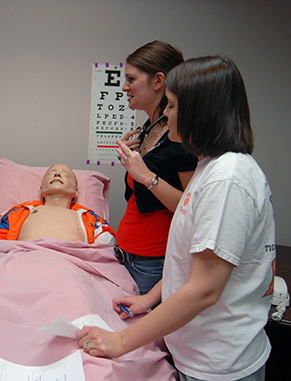 Grounded in a foundation based upon caring, leadership, knowledge and community service, Clemson University’s nursing program is the perfect fit for compassionate minds looking to help others and save lives. Nurses are an essential part of the health care system, and our nursing program aims to fill health care facilities with graduates who are understanding and smart, and independent critical thinkers who are hardworking and honest. To make sure you're gaining relevant, hands-on experience, we have clinical sites in four major hospital systems with numerous community partnerships. In addition, clinicals provide our students with real-life experience similar to what you’ll face in medical facilities. Research with human patient simulators allows you to practice events that aren’t as likely to happen in clinicals — guaranteeing that program graduates will go on to become some of the most qualified nurses in the field. 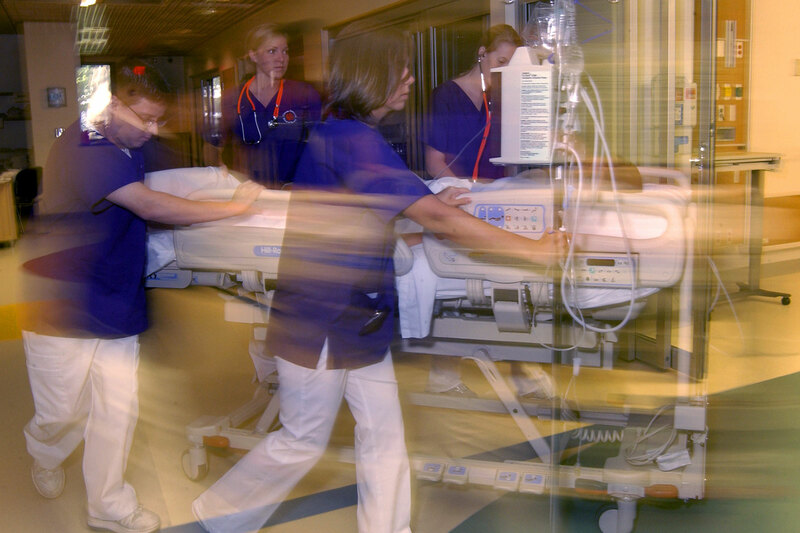 Incoming students receive direct admission into our nursing program. Our graduates have a nearly 100 percent job placement rate within three months of graduation. 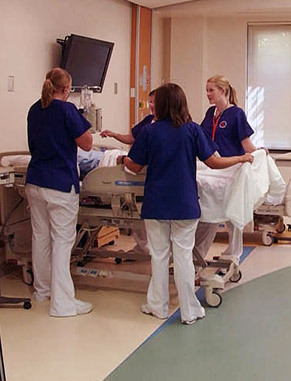 The School of Nursing program NCLEX (nursing board examination) pass-rates are above the national average. The baccalaureate degree program in nursing and the master's degree program in nursing at Clemson University is accredited by the Commission on Collegiate Nursing Education. Clemson’s nursing school provides students with the communication, computer, leadership and critical-thinking skills that are vital in today’s complex health care environment. As a nursing major, your first two years at Clemson will be spent developing a well-rounded education. With a foundation and emphasis in liberal arts and basic science, you'll focus on classes such as biology, chemistry, psychology, sociology and writing. Once you reach your junior year you’ll be honing your nursing skills in our Clinical Learning and Research Center on campus. This center offers high-tech human patient simulators that prepare you for “low-occurrence, high-risk” situations such as treating a person who sustained a neck injury in an automobile accident. You’ll also get hospital-based experience during clinical rotations. Your junior and senior years will be spent immersed in nursing courses and clinicals. Clinicals provide a chance to practice critical-thinking and hands-on skills in medical settings. Clinical rotations occur in a variety of settings in the local area including medical centers, regional hospitals and community hospitals. In your sophomore year, you’ll be placed into one of our two cohorts — Clemson University School of Nursing or Clemson University School of Nursing Greenville, and will start one of the paths in your junior year. 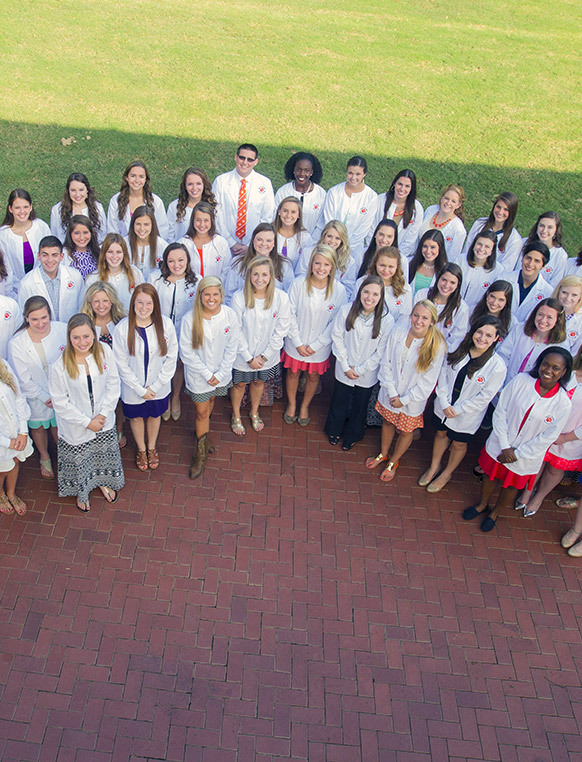 Throughout your time as a Clemson nursing student, you’ll learn everything needed to be successful in the nursing field, and you’ll be prepared to become some of the most qualified professionals and leaders in our field. Global Health Certificate: A global health certificate will give students a hands-on nursing experience structured around classroom and field experiences. To receive the certificate, you’ll take three additional courses followed by a capstone experience abroad in a low-resource, Spanish-speaking country. RN to B.S. Program: Already a registered nurse, but want to go back to school? 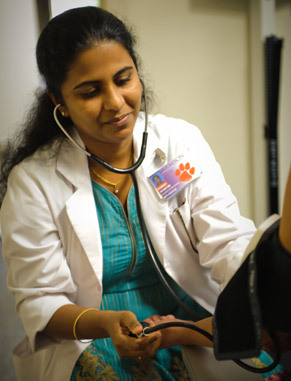 Clemson’s RN/BS Completion Program is offered in a fully online format that allows getting your Bachelor of Science degree to fit into your busy schedule. 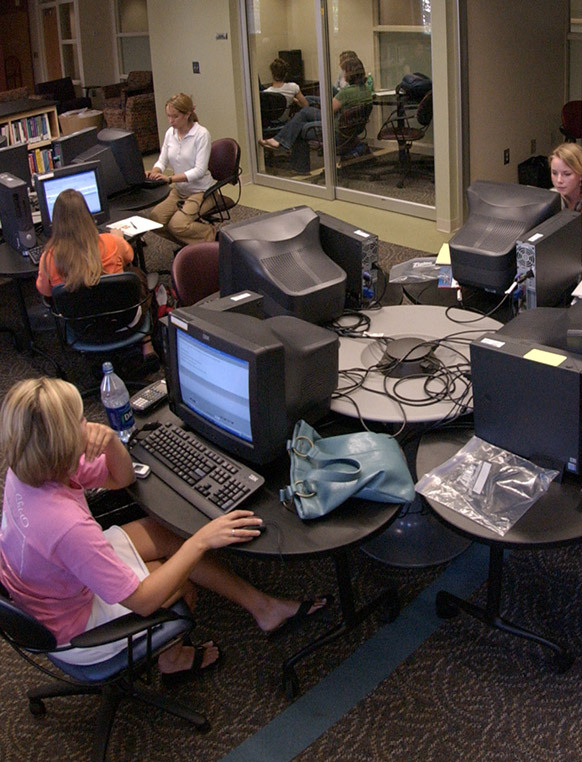 Students enjoy the ease and convenience of online learning while maintaining contact with faculty and peers through various technologies, including virtual meetings, email, and phone contact. The online format provides both the flexibility and support needed by working nurses to continue their education. Accelerated Second Degree Nursing Program: Designed for individuals who already have a bachelor’s degree from an accredited college or university, this program is a full-time, 16-month program based at our University Center in Greenville, S.C. Students begin in a fall semester and finish the following December. Students must also have completed several prerequisite courses and apply in the fall semester prior to their intended enrollment. 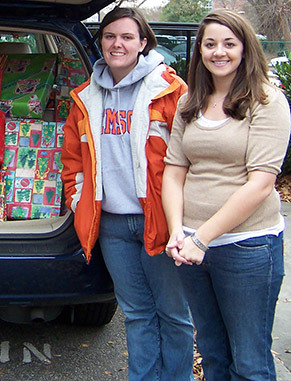 Choosing to enter Clemson’s nursing program is choosing to help those in need. With a hands-on learning approach, students will engage in “real-life” nursing exercises by doing community service, logging clinic hours and even studying abroad. Network with your peers in Clemson University’s Student Nurses Association. Members gain leadership experience and are able to participate in the legislative process and community service. Supplement and expand your education through the Institute for Healthcare Improvement’s new “Open School.” You’ll be able to take online courses and connect with students, faculty and practitioners in our campus chapter. Prepare for your rounds with “real-life” patients in our Clinical Learning and Research Center. Students assist Sullivan Center heath clinic staff in caring for individuals and families through community projects that include a mobile clinic, breast and cervical cancer screening program and Touchpoints residency training. Prior to clinical semesters, all nursing majors have the opportunity to study abroad and participate in nursing-specific clinical experiences in places like Ecuador, Guatemala, the Bahamas, Tanzania and Honduras. Through Clemson’s undergraduate research program — called Creative Inquiry — you’ll participate in research projects such as using family pedigrees to promote healthy lifestyles or the factors associated with postpartum depression. The nursing honors program prepares graduates to be innovators in nursing education, practice and research, and in doing so transform the health of individuals worldwide. If interested, you’ll apply in the spring of your sophomore year.